Congrats for the awsome bike, really agressive. The arrow looks too short for my taste, but that's details. 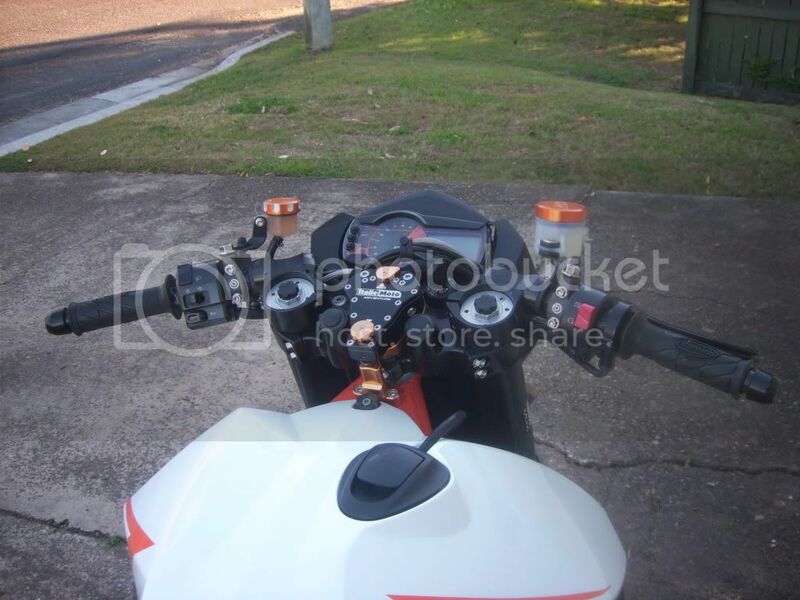 I take it thats a custom top yoke to allow enough fork for the clip-ons? Colonel_Klinck wrote: I take it thats a custom top yoke to allow enough fork for the clip-ons? Dude....that looks awesome, really like the shorty exhaust with the rear end. 130 rear wheel HP, running James stacks. although better than an SMR now... did this start life as an SM? or do you have both? kevxtx wrote: Started as a SM. Can someone tell me what the differences are between the SM and the SMR? I just got an 07 SMR used (1500) miles and I am trying to figure out what the standard equipment is on this bad boy. I am pretty sure the leo vince cans are aftermarket along with the moose racing bars and hand guards. SMaller tank, powder coating and paint only. No other differences. 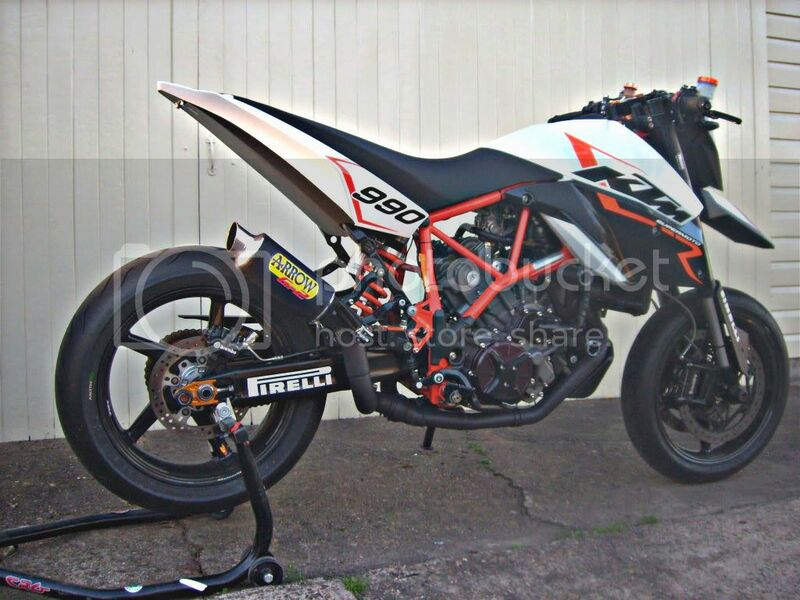 Didn't the smr have forged lightweight wheels? Or is that the 990 only? 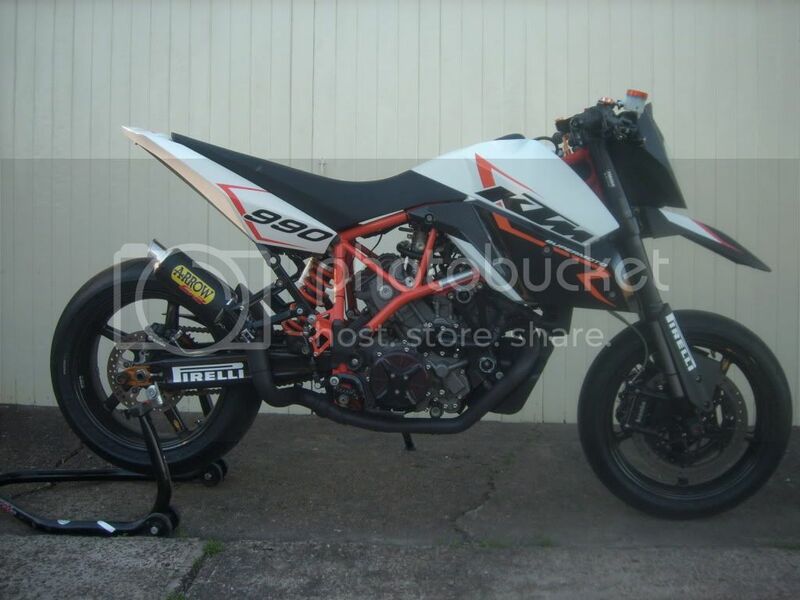 nampus wrote: Didn't the smr have forged lightweight wheels? Or is that the 990 only? 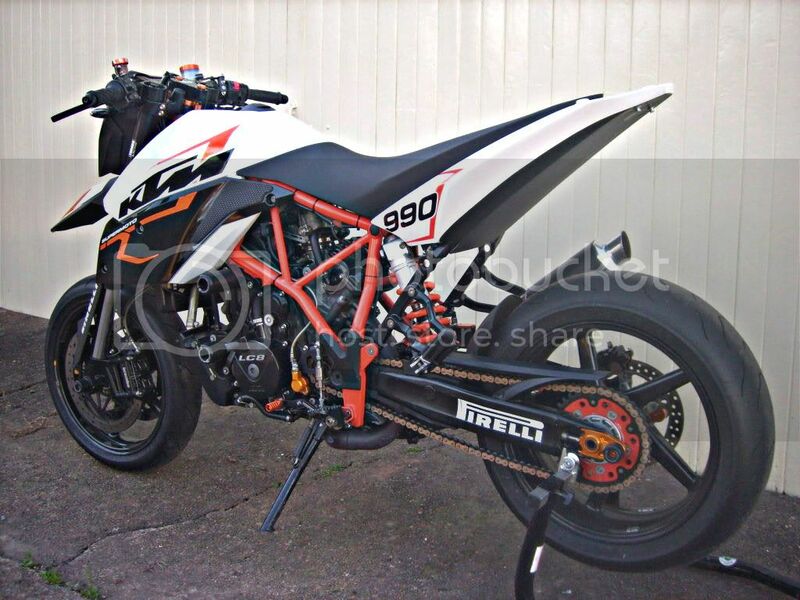 990 may have done, the 950 was deffo just paint and tank. I guess you could also add in the seat which is harder/narrower and throw in the seat lock mechanism which is at the back of seat on the 950smr, not on the side as per the 950sm. 2009>2011 SMR came with forged wheel, this 2008 SM came with Alloy wheels, 2012>2013 SMR has Alloy wheels with ABS.